GCI Outdoor was founded in 1996 when a desire for a chair that didn’t exist inspired the creation of the Everywhere Chair®. Since the introduction of the Everywhere Chair, innovation has remained at the core of each product we invent. We have continued to produce feature-rich products that not only fit your outdoor lifestyle, but also support our company philosophy – “Think Outside.™” Co-Presidents and life-long friends, Dan Grace and Jeff Polke, have grown GCI Oudoor over the last two decades with their ability to create and sell outdoor recreation gear that makes an impact on the lives of our consumers. 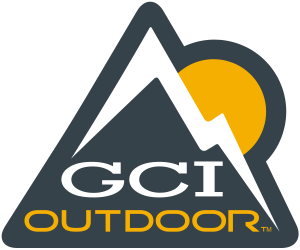 Their ingenuity combined with unsurpassed customer service has made GCI Outdoor a leader in the outdoor industry.